Hotel Vip Executive Arts, Lisbon. Vip Executive Arts Hotel Lisbon. The Hotel VIP Executive Arts in Lisbon has been recently opened in a prestigious position on the former site of the Expo 98 next to the Parque das Nações. 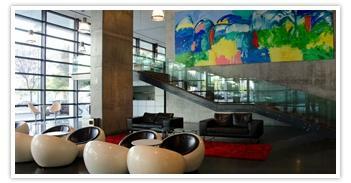 It is classified as a four star hotel with 14 floors built in a modern stylish. It provides 300 comfortable rooms including 10 suits and 1 presidential suite. Guests can reach in a very few minutes any kind off public transportations, as well the airport is just 3 km far away and the old city centre is reachable in 10 km. The Hotel VIP Executive Arts is a perfect choice to organize meeting inside one of the 8 meeting room with the capacity between 30 and 300 people.